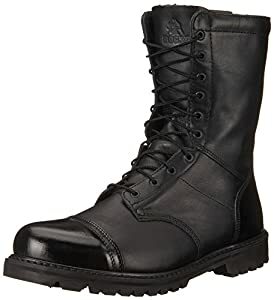 Best Combat Boots Reviews - 24 Best Military Boots in 2019! 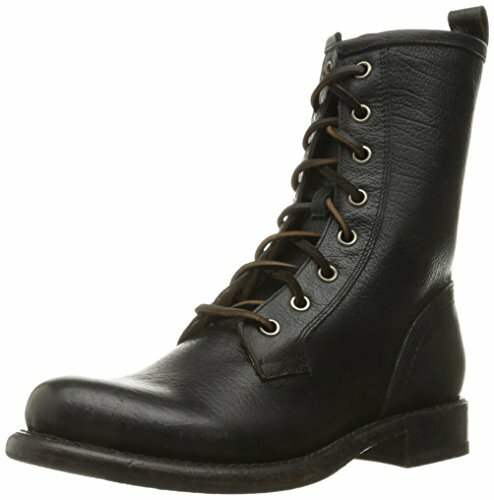 There is nothing like combat boots when it comes to comfortable footwear. They are created for professional military use, but today more and more people choose to wear them on a daily basis. 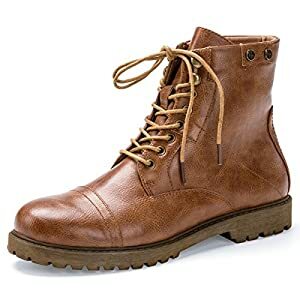 The reasons are obvious – combat boots are known for their long-term service, practicality, and focus on the long-lasting wear. They can be worn for the whole day without getting tired. They are remarkable for working environment, traveling, hunting, and just casual wear. If practicality and security sound advantageous to you – then let’s dig into the details! 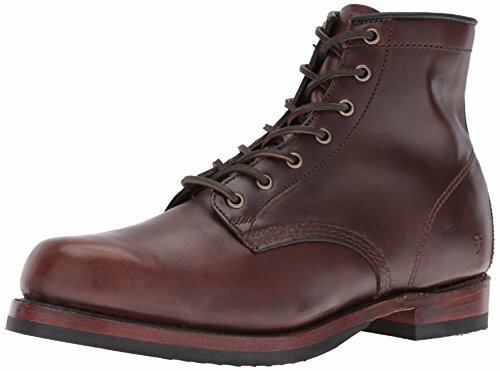 How to Choose a Perfect Pair? First of all, you need to focus on your preferences and expectations. There are so many diverse options with various qualities. So it is necessary to eliminate those that aren’t in line with your goals. It might not seem obvious why I chose this factor as the first one. 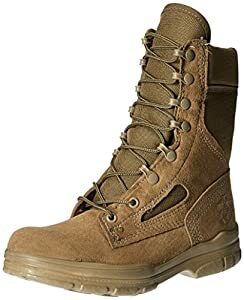 But all military footwear is manufactured to fit different surroundings. There are the options perfect for severe winter conditions while other ones are made especially for hot weather. You can’t really get all in one although there are middle options. 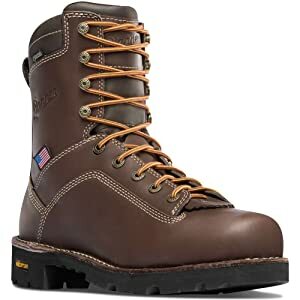 The winter boots are warm and insulated; they are less breathable and feature no synthetic materials. The items that are produced for hot climate surrounding are incredibly breathable. The manufacturers use specific fabric that can dry quickly. The main idea is to prevent overheating. All boots feature lace-up system because it is flexible regarding instep widths adjustments. And by adjusting laces, you can also customize the ankle support. Some items feature a zipper for the fast put on/off feature. It is convenient, but it decreases the insulation and waterproof capabilities. So if you are interested in safety more than in the quick put-on of your boots, be ready to do without zippers. The most commonly used component is, of course, leather. It can be strengthened, distressed or covered with abrasion-resistant finish. The combo of various synthetic fabrics adds flexibility to the footwear. Various innovative protection technologies might interest you. The footwear can be waterproof, oil-resistant, and slip-resistant. There are options on my list that are certified against electrical hazards, and it is vital for those who wear boots at work. There is also a flame-resistant capability. This is a beautifully designed product, manufactured from the lasting material by one of the most well-known brands. This pair is enjoyable to wear and ensures all the necessary security and support of your ankles. The lace-up system makes them convenient to use and flexible regarding fitting. The pull-up leather is covered with the unique finish for the long-term service of the product. The heeled construction was chosen to free your movement. 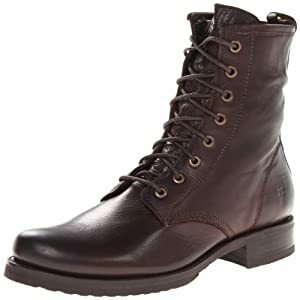 This pair is one of the best combat boots for girls. These boots are advantageous due to the full leg support. They are produced from superb materials to be lasting and reliable in use. The design featuring a small heel makes them supercozy and beautiful. The outsole features the grooves for the excellent grip on a surface. The heel is approx. 1.5” which makes them perfect and not too high for anyone. The sole is manufactured from synthetic textile for maximum steadiness. The zippers placed on both sides allow you to put on the boots really fast. And there is no lacing-up! This is a stylish and practical product. It is manufactured from the remarkably robust leather. This natural fabric is warm and, at the same time, provides sufficient ventilation. The configuration of the item is fascinating because of the modifiable collar, which allows you to customize you wear. There is also a decorative strap and some old-fashioned hardware to create a charming rugged look. The laces and the strap allow you to customize the ankle fit of the item. But these boots are not only wonderfully-looking; they are also comfortable, providing the support of your ankles and wide toe-box. The footbed is padded, and the rubber sole is stylishly grooved. The simple use of the item is ensured by the zipper, which is placed on one side of the item. Steadiness, comfort, functionality – there are many excellent qualities of this product. This footwear is made of distressed leather for the specific luxury look. The textile is lasting and natural. The boots are well-designed with 1” heels for the steadiness of the movement. The sole is synthetic and flexible enough to ensure simple moves. The laces are accompanied by the two side zippers. They provide the ability to modify the fit and quickly put on the shoes. The footbed is cushioned and produced from leather. It ensures breathability and protects you from strong impacts. The boots are very light, which is an incredible advantage if you are a fan of the long-term wear. The item is sturdy and the break-in period might take a while, but it is worth it. This is a beautiful pair of footwear, which is perfect for anyone. These shoes are manufactured from the robust fabric, featuring full lacing design. The eyelets are produced from the lasting metal for the maximum durability. The platform of the item is about 0.5” high, which allows you to get a feel of the surface. The sole is produced from both leather and rubber to ensure a solid gripping on the surface and long-term service of the item. The boots are quite high and provide support of your ankles. The toe-box is wide to ensure a natural movement position of your feet. The item is breathable and decreases overheating risks. Please note that this footwear is not designed for heavy winters! The internal lining is incredibly soft. There is also a cushioned footbed for the additional comfort. The cushioning decreases the surface impact on the landing feet. The stitching provides the durability of the pair. The design of the product creates a beautiful vintage look. This is the most classic design, minimalistic but stylish. 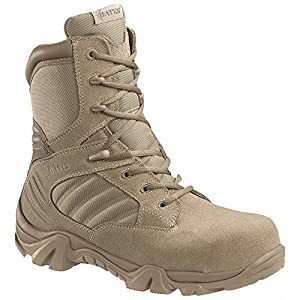 This pair of excellent combat footwear is produced with the thought of maximum user’s comfort. The mix of natural and artificial fabrics makes the product very breathable. The side panels ensure the ventilation and prevent overheating. The internal lining is beneficial because it is anti-bacterial. Another health-related feature – these boots are Bloodborne pathogen-resistant! Needless to say, it is soft to ensure the necessary cushioning of the feet. The steadiness of the product is underlined by the synthetic sole. These boots feature a full-length lacing system combined with the side zipper for the quick put-on capability. The stretchable top fabric is a perfect fit for anyone. Although this pair has no steel toes, it provides superb feet security. The arch support is extraordinary, and there is enough room for an orthopedic insole if needed. There is even a hidden side pocket! 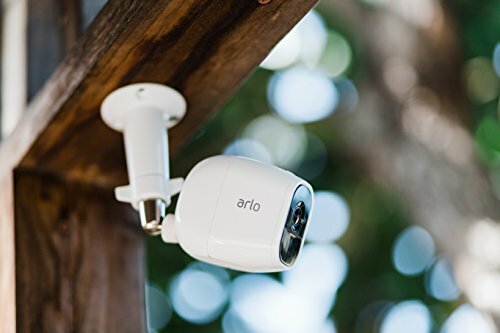 This pair has several unique features making it different from other items on the market. First of all, these boots are fully waterproof. They are produced from straightened leather. Secondly, the design is ergonomic and functional. The polished toe and heel add a stylish accent to the boots. The lacing makes them flexible to fit anyone. There is also a diagonally-placed side zipper for convenient and fast put-on. The top of the zipper has a covering pattern for waterproof effect. The rubber sole is grooved for the steadiness and surface grip. The boot is high to provide the full security, remarkable arch, and ankle support. The toe-box is broad enough to stretch out your toes. The maintenance of this product is user-friendly because there are several replaceable things, such as welt construction and lug outsole. The stabilizer is produced without the use of the metal, which means that you don’t have to worry about metal detectors. The boots feature EVA footbed. 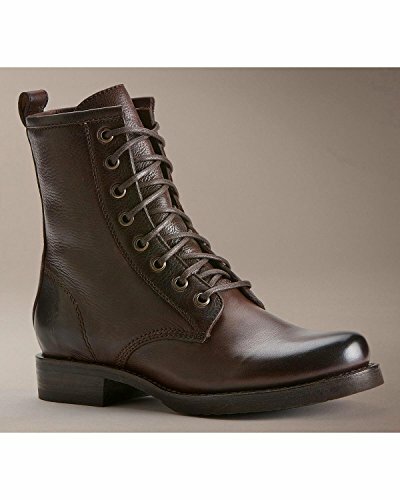 These are thick and thoughtfully-constructed sturdy boots that provide a fantastic arch support. This product is designed for professional use by the law enforcement agencies, which proves its reliability. The item is waterproof and therefore features no side zippers. It is insulated for the maximum security. It is also produced in the USA from high-quality, lasting materials. The Vibram outsole has necessary grooves for the grip on the ground. It is flexible for easy and quick movements. The lacing goes down right to the toe-box. Such configuration makes possible adjustments of the instep wideness. You can customize your boot’s tightness according to your preferences. The 200 grams insulation means that the inner temperature of your feet remains consistent despite the conditions. This pair is cold in summer and warm in winter. So you won’t experience overheating or sweating. 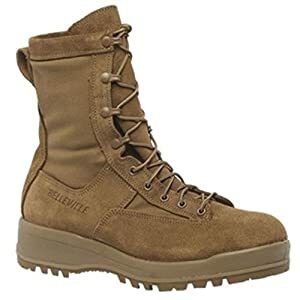 Belleville boots are designed for the warm climate areas. They feature all the innovative technologies to provide the efficient ventilation and regulate the internal temperature. This pair is made of leather together with the fabric for the maximum breathability. The nylon top material is flexible. You won’t experience overheating in these comfortable boots. Another significant characteristic of this product is soles configuration. The outsole is manufactured by Vibram and is exceptionally flexible. The sole ensures natural movement. The inner sole can be effortlessly changed to the orthopedic one. The toe-box is spacey. 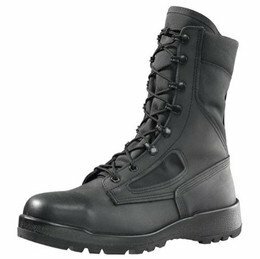 The boots feature steel-toe for the extreme protective capabilities. Such construction helps to resist powerful impacts on your feet. This is another high-quality product on my list. 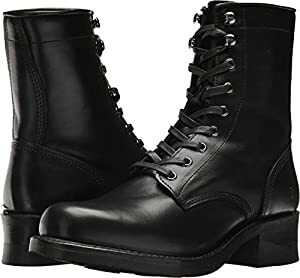 These are black leather high boots, which provide the necessary security of your feet on a daily basis. They are manufactured from excellent materials to fit perfectly and ensure simple movement. They feature a zipper for the quick put-on. But the top of the zipper is covered providing water-resistant properties. The outsole is oil-resistant, and it is excellent for working environment. It also adds some good grip on the ground. This pair is unsurpassed for its ventilation properties, preventing feet overheating. The insole is nicely cushioned. The steadiness and support of the feet are ensured by the steel shank. Reinforced toe-cap adds protection. This is a beautifully designed quality item with the toe-protecting capabilities. The crepe outsole makes them very comfortable. You can wear them for a long time every day without getting tired. They are produced from the robust materials and are very cozy. Lacing makes them adjustable, and the full-length side zipper provides an easy put-on/off. They fit well providing a good grip and ankle support. The heel is about 1.25”, which is a perfect configuration for a long-term use. The outsole is thick to decrease the surface impact on your feet. 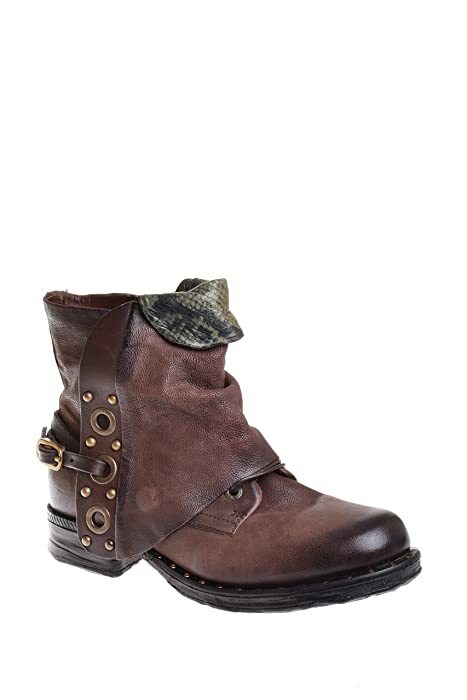 These brown combat boots covered with the geometric pattern are produced from superb leather for the maximum durability. The convenience of this footwear is ensured by the laces together with a full-length zipper allowing to put them on quickly. Metal grommets emphasize a unique look of the boots. The footbed is padded with leather for practical reasons. The ankle has a nice support. The outsole is flexible due to the quality rubber material. The toe-box is extensive and allows stretching out the toes naturally while walking. This is a great item combining reliability and steadiness. This product is made of leather together with nylon fabric for the temperature regulating purposes. The nylon parts ensure efficient ventilation and eliminate overheating. Another superb quality of such fabric blend is the flexibility of the item. It fits perfectly because the top material is capable of stretching. A bendable outsole ensures excellent traction. 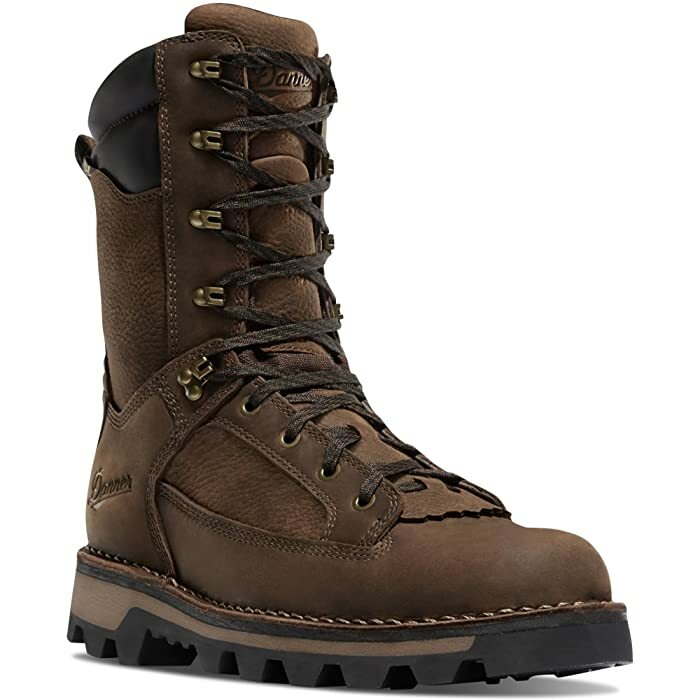 These boots are sturdy, lasting and oil-, abrasion- and stain-resistant. The protection of your fit is also ensured by the shock absorbing technology. It prevents injuries and takes the pain away from your knees. The inner lining is soft yet being both breathable and light. 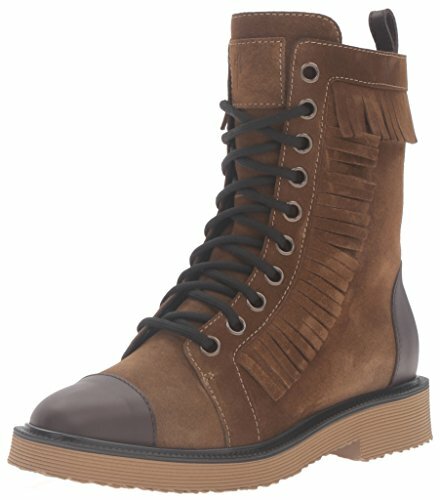 Another superb FRYE innovation is Veronica boots with their well-thought design and incredible foot security. They feature a full-length lacing for additional adjustability. You can modify the instep widths according to your preferences. This footwear is manufactured from the superb fabric and is made to last. The ankle-high configuration makes this pair very enjoyable. The heel is stacked and provides steadiness and an extraordinary grip. The internal sole is smooth and padded for the user’s satisfaction. This pair is designed precisely for a warm climate surrounding. 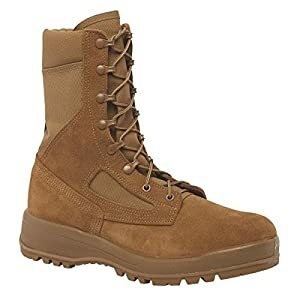 These boots are made for professional military use. Therefore, they feature several beneficial qualities. This pair is produced from both high-quality strengthened leather and nylon fabric to regulate the internal temperature. Synthetic fabric allows natural breathing of your feet. You won’t experience any sweating because it is prevented by the ventilating materials. The Vibram sole is a synonym of quality and usability. It is so flexible and durable! This footwear fits nicely because the top fabric is capable of stretching. You can also modify the width of instep by adjusting the laces. The midsole is cushioned to absorb shock impact of the ground. The internal lining is remarkably soft. It is also anti-microbial and odor-reducing to ensure the long-term service of the product. This is superb minimalistic-looking footwear for cold temperatures. It is manufactured from the high-quality leather, which is soft on the top for the user’s joy. The outsole is flexible and allows natural movement of the feet. It is oil-, fat- and slippery-resistant. The fascinating grip on the surface is ensured by the increased traction. It is a proper configuration for slippery roads. These brown combat boots are waterproof yet breathable. The internal lining is very soft and cozy. The product is light and features padding along the collar. Protective capabilities of this item are presented by the reinforced toe-box and lacing system for ankle support. And this pair comes at a reasonable price, which is a great advantage! These are perfect low-temperature boots. They are durable due to the excellent materials and beneficial design. The configuration provides superb ankle support. The leather is combined with a remarkably lasting nylon, which resists abrasion and scuffs. It provides necessary stretching capabilities of the boots’ top for a perfect fit. This product is fully waterproof, but it is also breathable. Such advantageous functionality is enabled by the ventilating lining that ensures wonderful temperature regulation. No water will get in, and you won’t experience sweating. The insulation is excellent with the 1000-grams Thinsulate! You can wear these boots in the lowest temperature without getting cold. The sole configuration provides feet support but remains lightweight. It is possible because the midsole and the lasting board are molded in one piece. The traction capability is excellent because the outsole features lugs. This product is manufactured in the USA using superb durable materials. They are produced entirely from the strengthened leather for the long-term service. The use of Vibram sole makes them very flexible and easy in movement. The configuration of this pair makes it beneficial to your feet and legs, decreasing the risk of injuries and pain. Danner Quarry boots are waterproof. They feature the GTX lining, which ensures a good ventilation. But there is one particular quality making this item one of a kind. It is protected from electrical hazards! This product meets the ASTM F2892-11 standards. The sole and the heels of this footwear are made of non-conductive material. The outsole is shock-resistant to decrease the ground impact. It meets the OSHA standards, which proves the oil- and slip-resistant capabilities of the boots. This product is characterized by the minimalistic classical design and high functionality. These boots are perfect for any outfit. The construction is exceptionally comfortable and lasting because of the full-leather design. The sole is made of rubber to provide enough flexibility while walking. The heel is stacked for added steadiness and ground grip. The toe-box is advantageously spacious to ensure painless movement. There is enough space to put in an orthopedic insole if necessary. This pair is well-built, sturdy and comfortable. So you’ll get used to it soon. The combination of different materials allows creating high-quality items, such as these boots. Leather is combined with abrasion-resistant nylon to ensure the durability of the item. The fabric on the top of the item is stretchable and lasting to fit any user perfectly. The outsole is produced by Vibram according to the running shoe sole construction. It is done to ensure the natural movement of the feet and toes. So you won’t get tired even after wearing them all day! 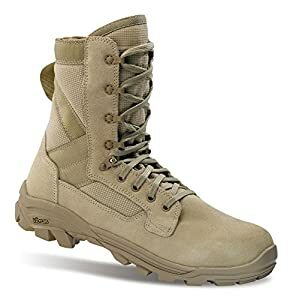 These boots are not only designed for the military use, but they also meet the new AR 670-1 regulations on wear and appearance of army uniforms. The waterproof capability is also an advantageous feature. The GRX inner fabric ensures breathability. If you are looking for something with non-ordinary design, this item might interest you. 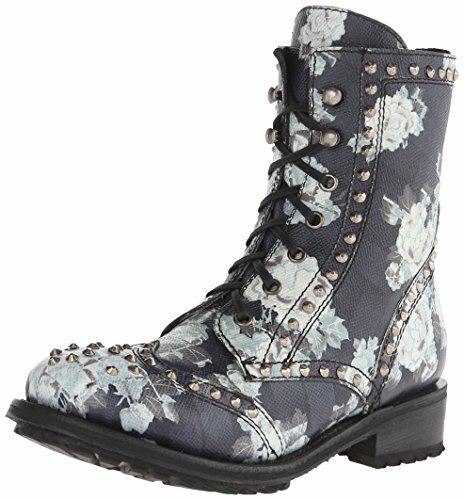 These boots look vintage due to black-and-white flower patterns. They are also equipped with the metal hardware. 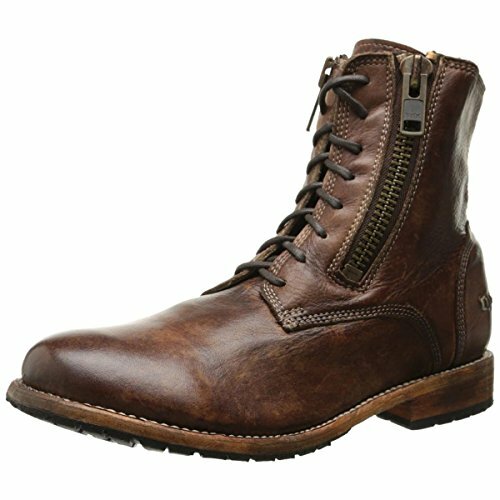 These shoes are made of incredibly robust materials, such as sufficiently strengthened leather and a synthetic outsole. They are sturdy, stable and reliable. The outsole is flexible and allows painless movements. The toe-box is broad enough to stretch out your toes naturally. Stacked heel and lugged sole ensure extraordinary traction capabilities. 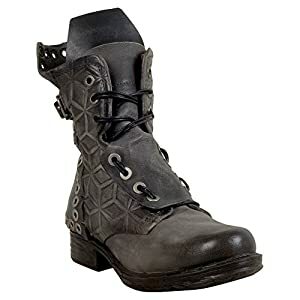 This item stands out among others with its mysterious look and distressed leather. It is manufactured from longstanding natural materials to increase its durability. They are high and provide wide instep with the ankle support. The lacing system makes the width of the boot modifiable to fit any foot. Steadiness of the product is ensured by the stacked heel. The traction is quite good in this footwear. This pair is solid, nice-looking and practical. 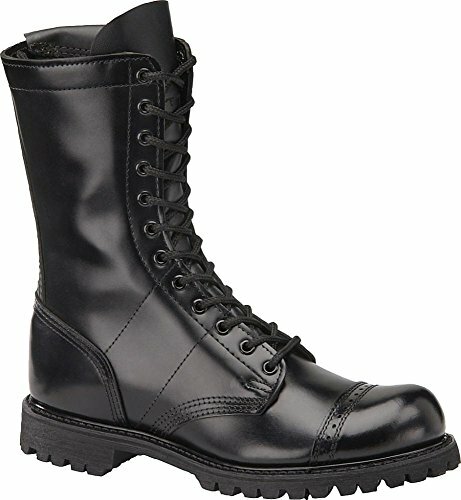 This pair is thoughtfully designed to be one of the best combat boots on the market. They are incredibly breathable because of the canvas fabric used in their manufacture. This material also makes them very light. The outsole configuration is advantageous. The Vibram sole features unique grooves for the excellent traction on any surface. It is also shock-resistant and absorbs the ground impact on the landing feet. The upper part of the product is made of high-quality leather together with nylon patches for the long-term service. The materials are beneficial because they dry really quickly. The fabric dries immediately, so all the moisture is released from the boot. 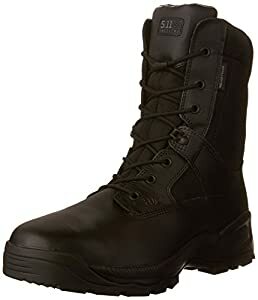 These boots are also insulated and can be worn in the cold temperature conditions. White boots are generally produced for camouflaging purposes. This product is manufactured from a combination of different high-quality materials. Leather adds durability, and nylon fabric allows efficient ventilation. The side patches ensure the breathability of the boots and regulate the internal temperature by decreasing the overheating risks. The outsole is synthetic and extended for additional ankle protection and prevention of injuries. Another property of the outsole is excellent traction, which provides the proper grip on almost any surface. 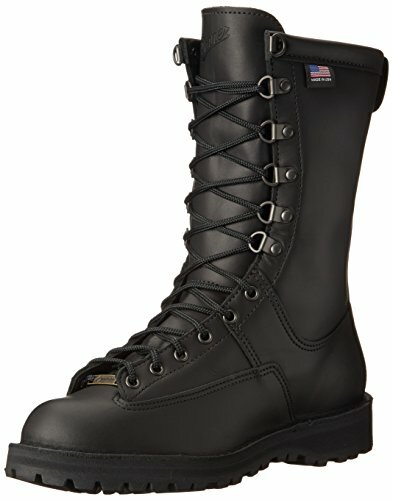 The collar is padded to enclose the boot construction and ensure the necessary support. The internal lining is breathable, the EVA midsole ensures the comfort and reliability of the item. Combat boots are convenient and incredibly cozy because they are made to last and protect your feet from different impacts. They are perfect for traveling and working and can be used daily. The main advantage is that they support your ankles, allow smooth movement and eliminate forceful impacts. I hope that this article was informative and exciting! There is a variety of products on the market. I’ve reviewed the top options that will meet everyone’s requirements. Please feel free to leave a comment below and share which pair suits you best of all!